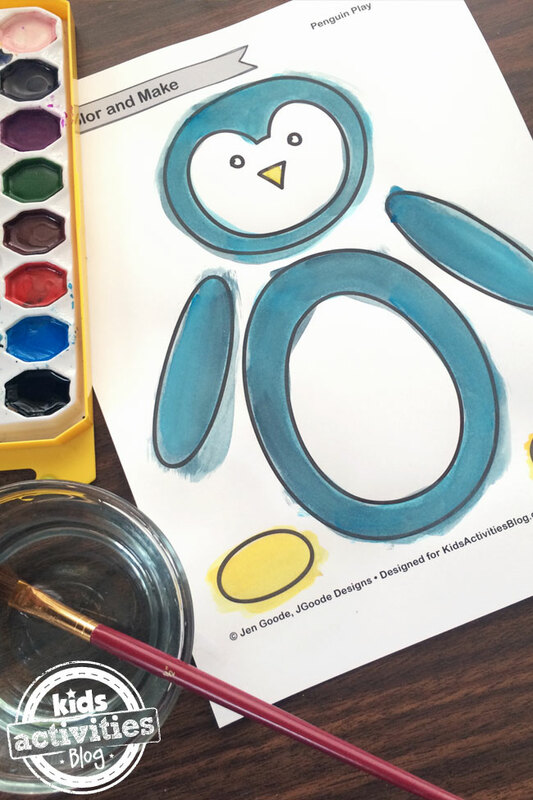 Winter fun with a penguin coloring page and craft, it’s the perfect activity snow or not! 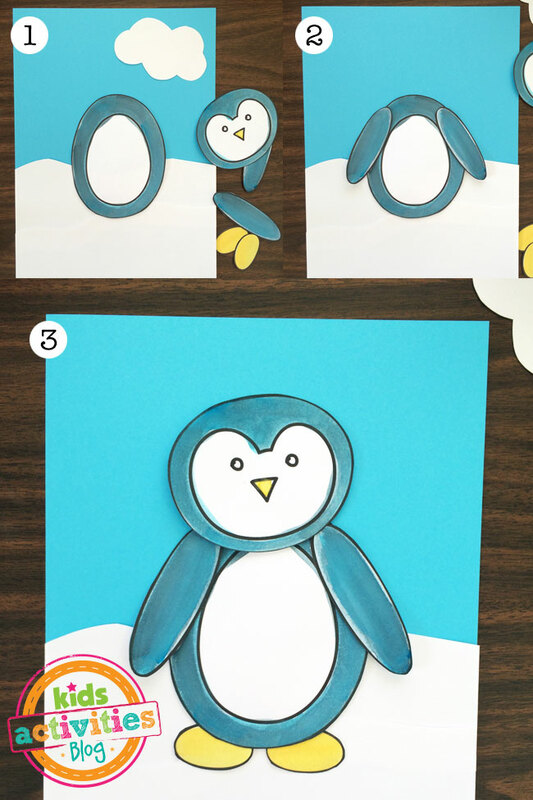 Penguins are such adorable winter critters, of course we love winter printables and penguin crafts. Use this free penguin coloring page to make your own cute winter craft or art project. You can color, cut and glue it just how you’d like it. Print out 5 if you want and make a whole family of penguins! Winter just isn’t as fun without the penguins. Make your own today with this free printable activity page. Did you know.. January 20th is Penguin Awareness Day and April 25th is World Penguin Day? You can celebrate the day and share all kinds of fun penguin facts while making your own penguin craft. Print out the coloring page, color or paint it and then cut it out. Glue all the pieces to a background paper (there’s one included in the printable) and VOILA! Penguin art extraordinaire, ready to hang and enjoy. We used construction paper to make our background. We cut out some wavy shapes from white paper and then layered the paper on to a piece of sky blue paper. Then we glued everything in place and finished it off with white paper cut-out cloud. Have fun playing with penguins today. 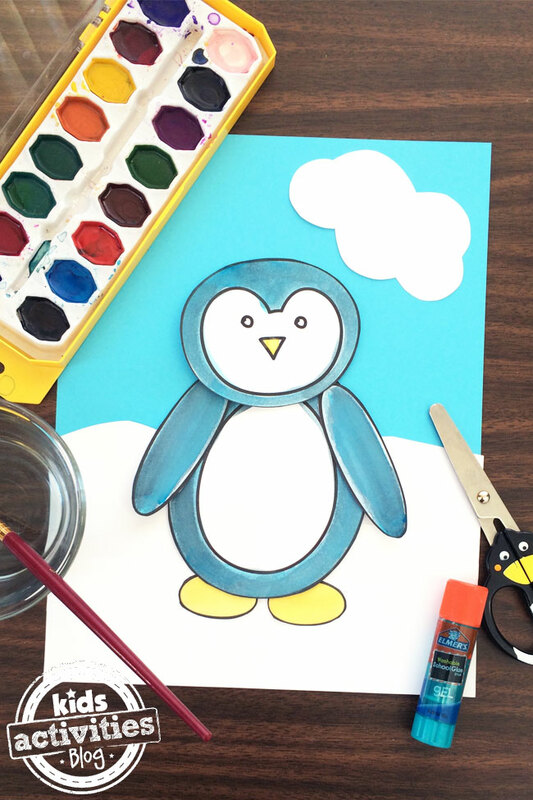 You can create your own fun scene, with this penguin coloring page and craft. Use your imagination to make a penguin paradise!